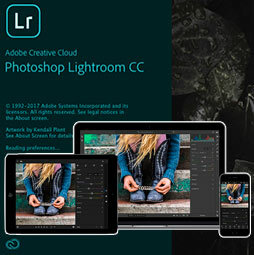 Moments ago, Adobe announced the release of Lightroom4. 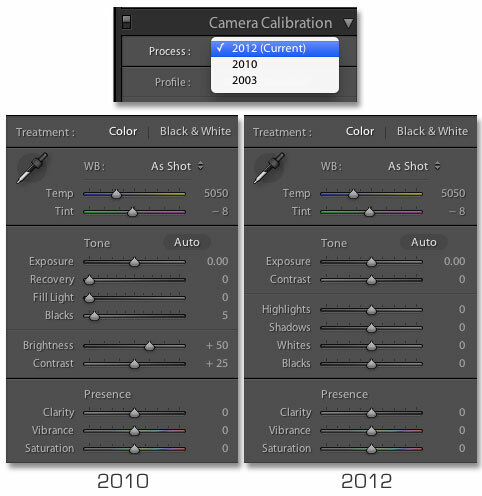 Upgrading your Catalog to Lightroom 4! My goal here is to give you a list of the most significant features and a kick-start to using them. Feel free to send your friends to this page. As time goes on, new videos and resources will be released here. .
10 Hour fully comprehensive video, learn the new features in depth! 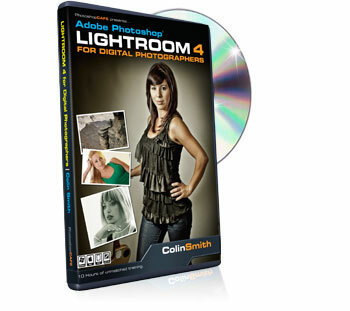 Lightroom 4 Video Available right now. See more here. We are looking at a new Process Version. Dubbed PV2012. The main change is dropping of the Brightness, Recovery and Fill Light sliders. The sliders have largely been replaced with Shadow, Highlight, Whites and Blacks. 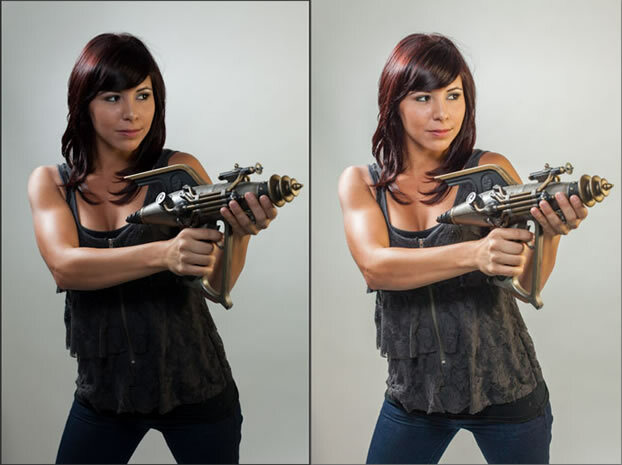 These are more consistent with what we are used to working with in Photoshop. Shadow Highlight replace Recovery and fill light with some changes to try and eliminate halos in images that are heavenly processed. The Whites and Black set the white and black points in the histogram, much like what you would expect from the white and black slider in Photoshop levels. Having used these for a while, I’m a big fan of the new Proccess Version. But wait. It’s get’s really cool about here. More options have been added to local corrections (Adjustment Brush and Graduated Filter) these include White Balance, moire, noise, shadows and Highlights. Wait, did I just say Moire? There is now a moire reduction filter, which works really well. Having used the Sony NEX and Lumix GF series of Micro 4/3 cameras, I have noticed moire patterns sneaking into some photographs. While this dithering effect might be a nice novelty for a second, I have a feeling the moire reduction will be a popular feature. 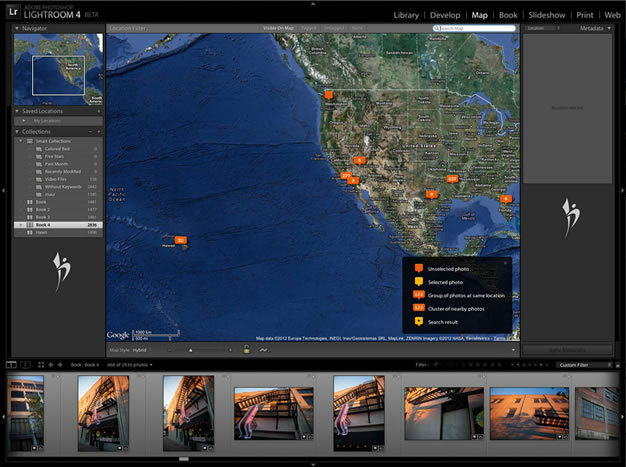 Lightroom 4 taps into Google Maps and allows you to geo-tag your photographs. (Internet connection required). The photographs can appear on the map exactly where they were shot. If you are using an iPhone or other camera that has built in GPS, then the photographs are automatically added to the location that each photograph was captured. You can zoom in and out of the map using the slider or mouse wheel. It’s actually very accurate as you can see my photographs snaking up the road of MT. Haleakala in Maui. If you don’t have a GPS enabled camera, you can manually drop the photos from the filmstrip directly to the map to create pins. New, since the public beta is the inclusion of reverse Geo-Tagging, as you drop your images onto the maps, their metadata is populated with location data including GPS coordinates and city and street names. When you click on a pin, you will see a thumbnail pop up. 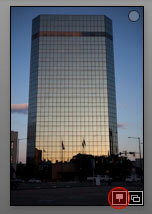 Click the arrows to cycle through each photograph that is tagged in the corresponding location. Once a photograph is tagged, a badge will display to indicate that tagging has been added. Click the badge or double click the photograph thumbnail to go to the location on the map. You can type a location into the search bar at the top right of the screen. Doing this will cause the map to display that exact location. 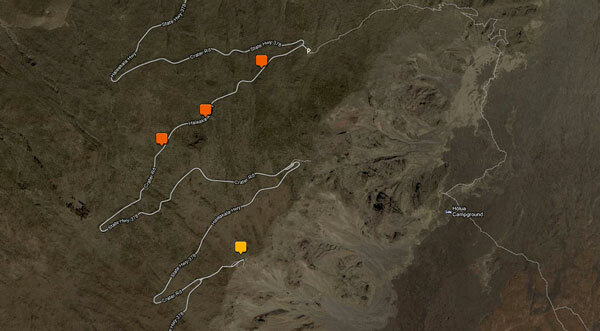 You can now drop the photos onto the map and have them added to the tags. 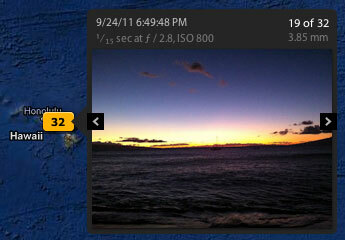 The filter bar at the top of the module also allows you to sort the Photos in the filmstrip based on location. 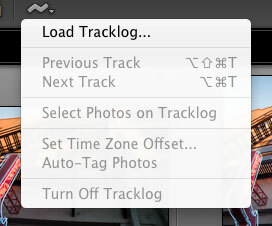 If you have a tracklog file for a handheld device or app (such as geotagphotos), you can import the file into Lightroom 4. Here is a tip for you: After you have spent a great deal of time zooming in and out, you will wish (as I did) for a way to make a marquee selection. (Click and drag to zoom). I accidently discovered if I hold down the alt/option key and drag around an area of the map, Lightroom will zoom to that location. 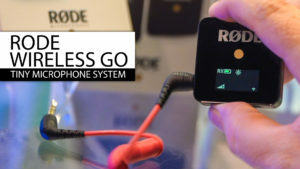 Unless you have been living on a desert island, or you have your head buried in the sand, you will know that video is very popular with DSLRs and Micro 4/3 cameras. I’m not going to get into all the reasons, uses and benefits of video here because we fully embrace it and have quite a few training titles on video for photographers already. 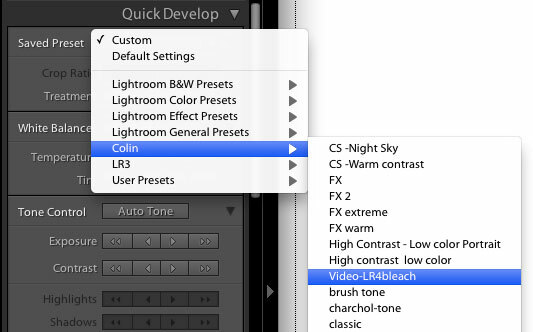 Lightroom 3 brought us the ability to add video to the Lightroom catalog and a crude way to preview them. Previews where made though Quick time, by popping the video up as a separate video file. Thankfully all that has changed. 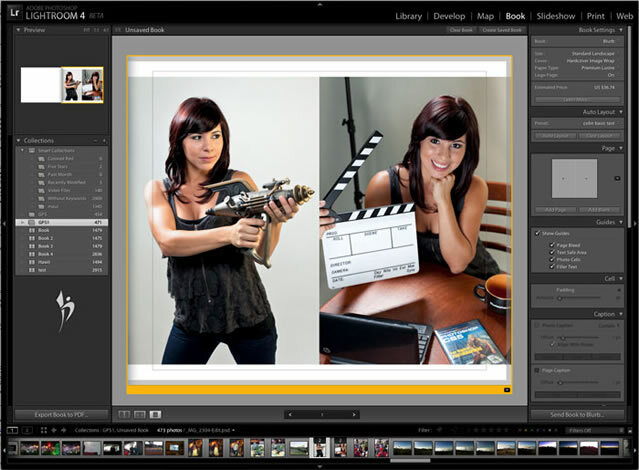 Lightroom 4 provides the ability to preview video directly in the application. (You can also create stacks from your video files). 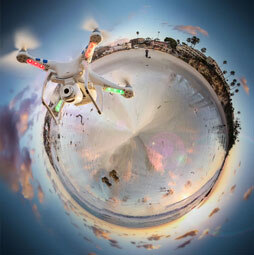 Naturally H.264 Mov files such as those captured by Canon 5D Mk2, 7D etc are supported. A surprising move is the addition of AVCHD support (The standard format for many consumer and micro 4/3 cameras.). The move isn’t surprising because of it’s practical use, it’s because AVCHD is a very complex CODEC and difficult to support. Kudos to Adobe for adding this functionality. Not only can you preview your video files, you can also trim the clips by setting an in and out point. (Trimming away the beginning and the end of the clip for non-video peeps.) Click the little circle looking thing to open the timeline. Ok, here is where it gets VERY exciting. 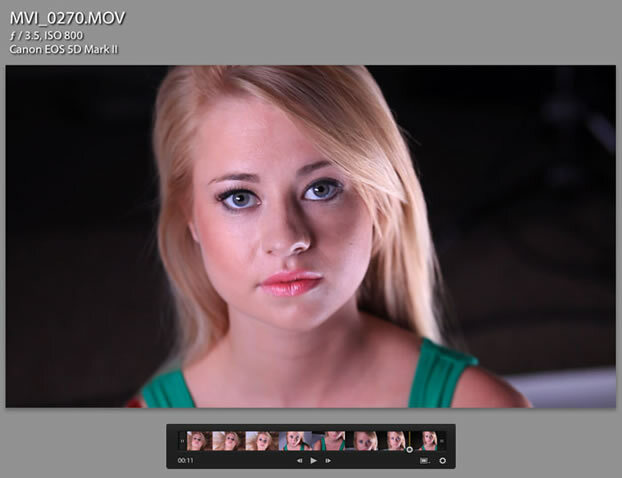 You can apply many of the Quick Develop settings directly to the video. But wait, it gets better. You can apply a preset to the video. 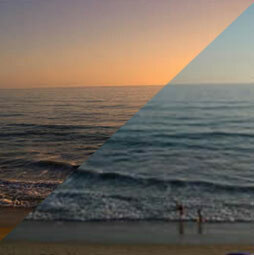 The best way to make a custom adjustment to a video clip is to take a snapshot by capturing a frame. Load the image into the develop module. 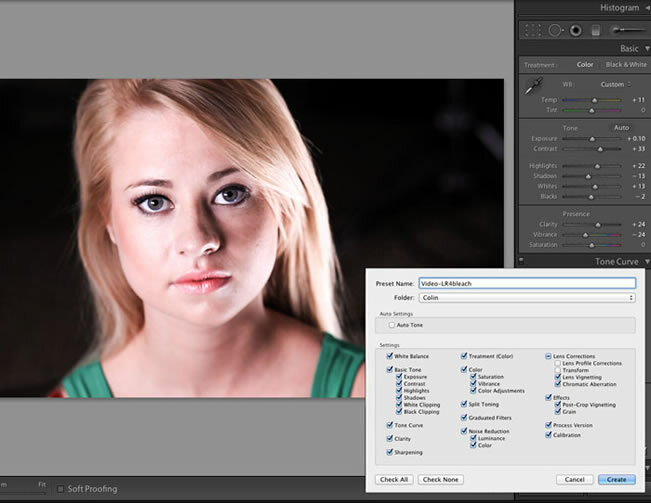 Make the desired adjustments and sync the settings or save as a preset. Apply the preset to the entire video clip. (Check out my attached videos to see this is action). 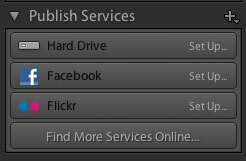 You can export your final video as H.264 (Standard for most things) or publish it directly to Facebook, etc. 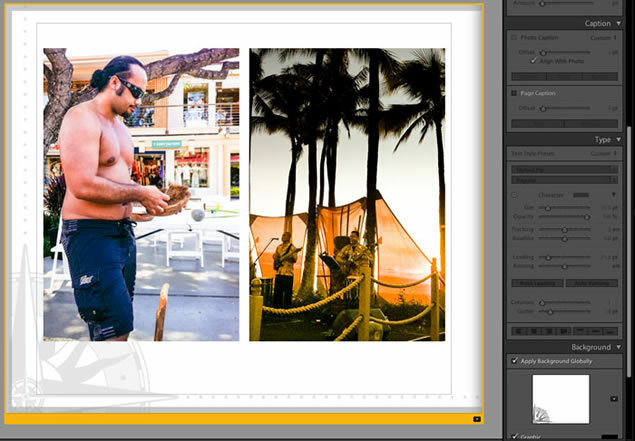 The book module is a place where you can layout your photographs into pre-made templates. You can place them a one photo per page, or multiple photos per page. Each page can have it’s own template. You can’t make custom templates, but there is plenty to choose from and they are quite well designed. 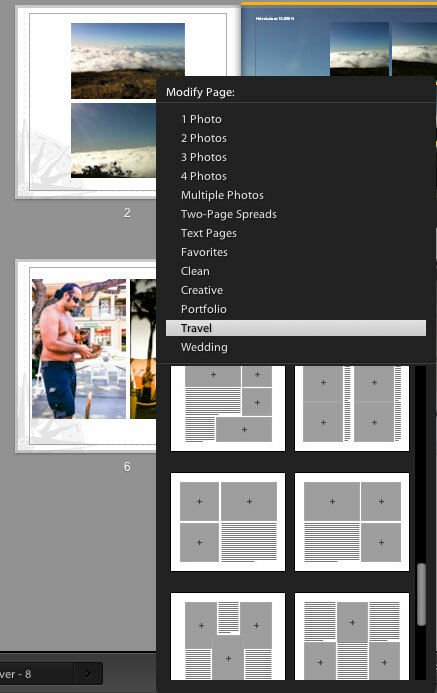 Once you have selected the photos to add, there is an auto Layout button that will populate all the pages when pressed. You may also drag them into the layout individually. Some templates allow for blocks of text if you want to add written content along with the photos. You can easily add page captions or photo captions, which can be positioned on any page. The text tools are quite robust with all the expected goodies such as font, style, color, alignment, leading and tracking etc. Once you have finished creating your book, you have a couple of output options. Try sending the book to a service called blurb which will print either a hard or soft cover book and mail it to you. 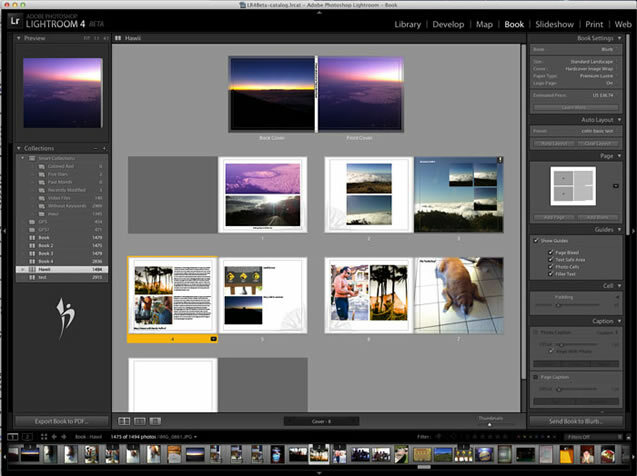 The estimated costs are even displayed in Lightroom as you add and subtract pages. The second option is to output to PDF. You could either print yourself, send to a print service of your choice, or distribute the book as an online PDF. A nice feature is the ability to add a background. These backgrounds style up the pages nicely (as long as you don’t get too carried away). Check out the video that walks through the process of creating a simple book. 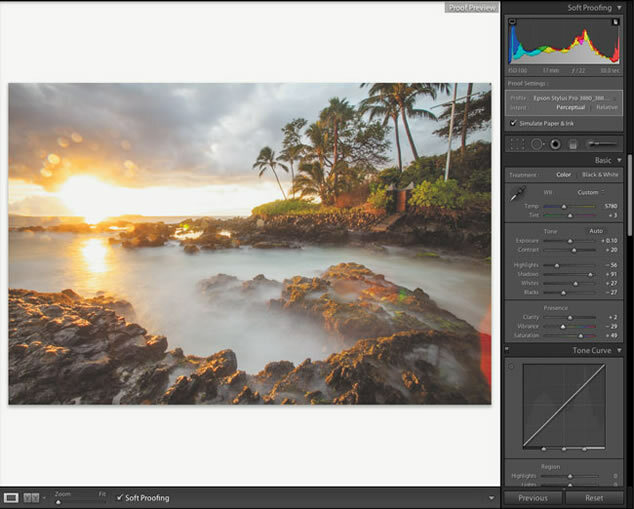 Something that has been missing in Lightroom is soft proofing. 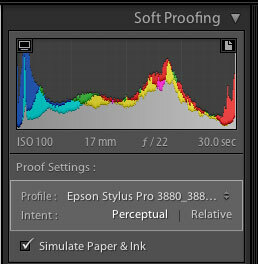 This is the ability to simulate different types of printers and media, by loading in their profiles and then accurately displaying them on screen. 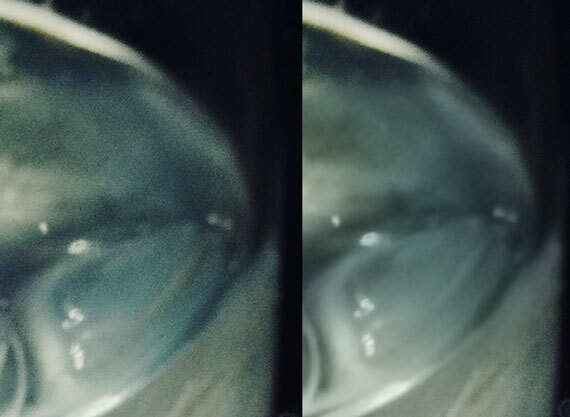 In the develop Module, click Soft proofing at the bottom. You can now click in the side panel and load your printer’s profiles. 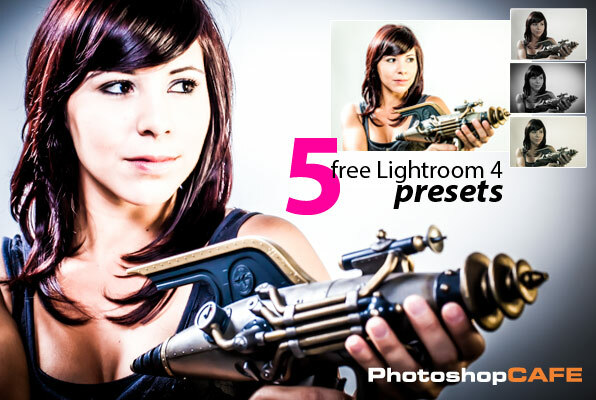 Choose the options you want and then make adjustments to your photo for good printing results. 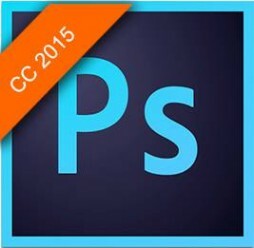 As soon as you begin to work, Lightroom will create a virtual copy, so that your original isn’t changed. You can now export photos directly to email. This is nice because it let’s you do it all from within Lightroom and doesn’t create a footprint of temporary images all over the place. You will also notice some nice little pop up tips and highlights as you are working your way through the modules. While reorganizing, you can drag a folder from one drive to another to relocate files. You can now select and drag multiple folders at the same time. You can now create stacks within Collections. You can hide and show modules by right clicking at the top of the screen and selecting the ones you want to show/Hide. 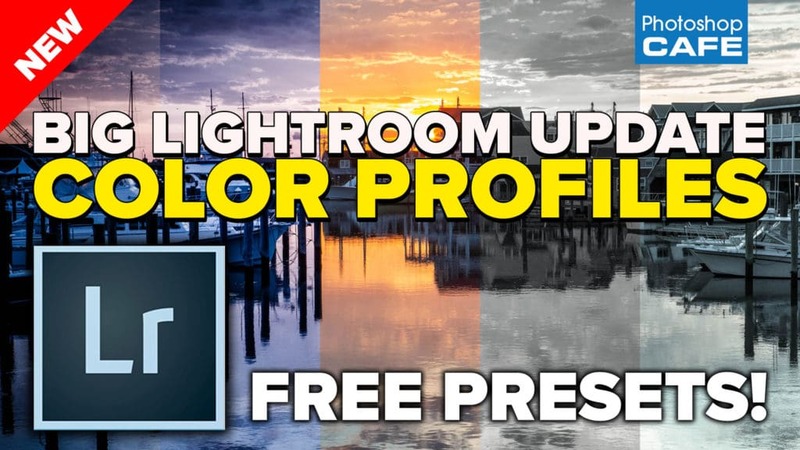 We have a brand new 10 hour video on Lightroom 4 Available now! 113 movies in a slick interface, includes all the new features. Disk and (iOS compatable) Download Available now!